I think I annoyed almost all my friends into reviewing my Gilman Scholarship essays before I finally submitted my application. 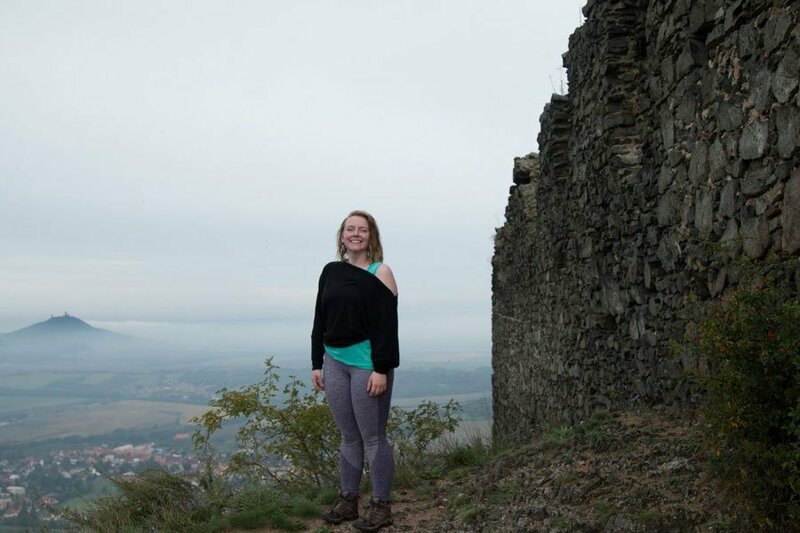 Like the other 68 percent of Gilman Scholars, I was applying for the scholarship that would make or break my ability to afford to study in the Czech Republic. I have a passion for communication and global cultural understanding, which is why I chose to take my education abroad. If we’re getting philosophical here, my dream is to help make our world feel less divided by helping people appreciate, connect with and learn from people from different walks of life. However, the question I faced was how I was going to afford all of this. I am the first person in my family to graduate from college and I come from a low-income household. 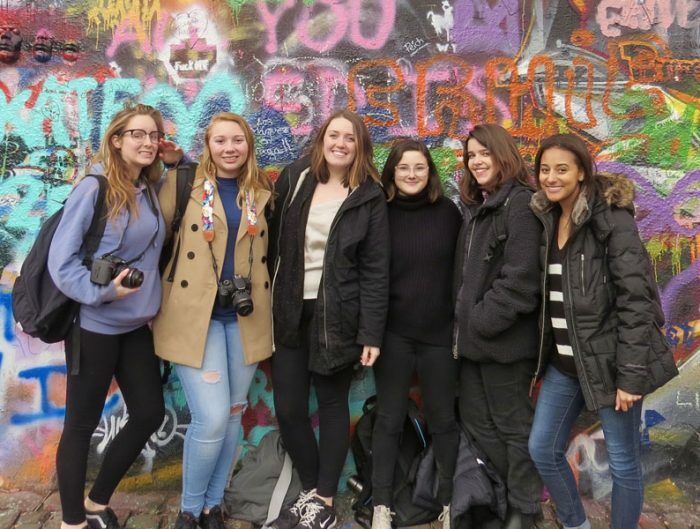 So, when I was deciding on a follow-on service project for the Gilman Scholarship, as a way to pay it forward, I wanted to connect with students who think studying abroad is unattainable. It isn’t — you can make it happen. I hope I can help inspire even a few of you reading to take the next step in studying abroad. The Benjamin A. Gilman Scholarship is a federal grant program that enables low-income students (like me!) 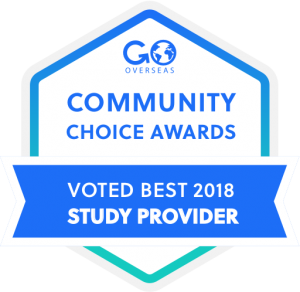 to study abroad and supports students who “have been historically underrepresented in education abroad,” according to their website. The scholarship is named after congressman Benjamin A. Gilman who helped to establish the program. He believed “living and learning in a vastly different environment of another nation not only exposes our students to alternate views, but also adds an enriching social and cultural experience.” Like Gilman, I believe that studying abroad gives us a deeper understanding of the world we live in, an awareness of challenges the world faces and helps us establish international connections that challenge the way we see things. Start thinking about study abroad early on. This will give you time to really figure out how to make studying abroad possible. I started researching different programs a year before I studied abroad. Choose a program that fits what you want and need. 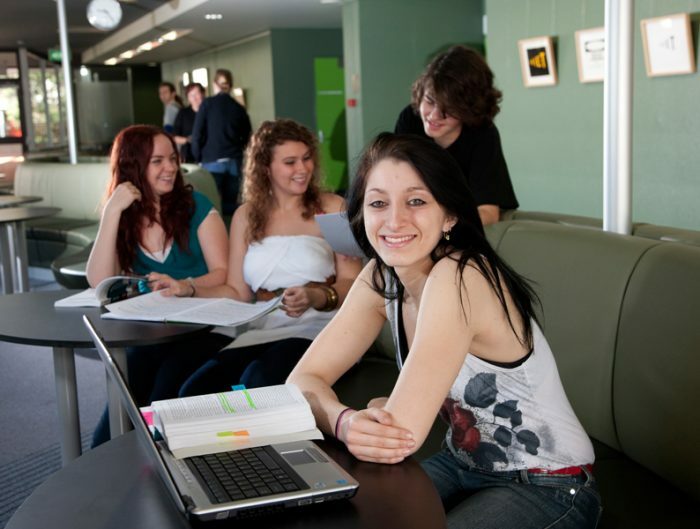 Think about why you want to study abroad, what sort of skills you want to learn and where you want to go. I chose to study in the Czech Republic because I wanted to learn a new language and study media in a country where freedoms that we take for granted have not always existed with the rise and fall of communism. 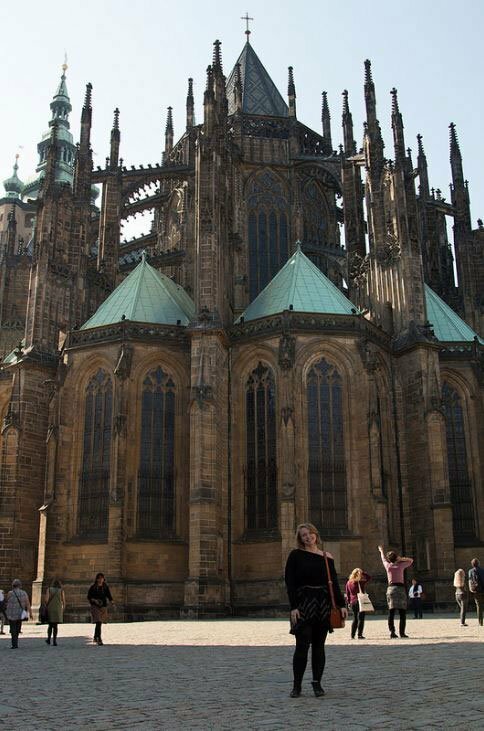 Bonus: the Czech Republic is also a non-traditional study abroad location with a rather low cost of living. You’ll need to consider what is most important to you. Is it cost? Location? A semester or a year-long program? Field of study? Then, do your research and choose a program that balances what you want with what you can realistically afford. You will probably have to make some compromises. My biggest concern was cost, but I also wanted a more structured, traditional study abroad program. I chose a program with University Studies Abroad Consortium (USAC) that cost $13,000 for the semester, which is on the lower end of the spectrum (I know… but hear me out). Take your time and really figure out how you are going to pay for your program. Go chat with the Financial Aid Services Center, Scholarship Center and Education Abroad Office and the USAC scholarship team about your options. They have some great resources. Price tags on these programs are high, but there are so many funding resources on the Education Abroad Office’s website and the rest of the internet. Think about it like this: I spent around 35 hours applying for 15 scholarships. I received four, totaling $6,300. I made $180 an hour. In addition to my federal and state financial aid, I only had about $1,500 that I needed to cover outside of scholarships and grants. Beyond financial aid and scholarships, I put a certain amount of money from my job in savings each month, sold old clothes and did odd jobs to save extra money. Where there is a will there is a way. Apply for the Gilman Scholarship and use my Gilman Scholarship Essay Tips. Scholarship awards can be as high as $5,000 (or $8,000 if you are studying a high needs language). They favor non-traditional destinations and one in two students who apply and are studying in Asia is awarded the scholarship. So, with that in mind, get creative. 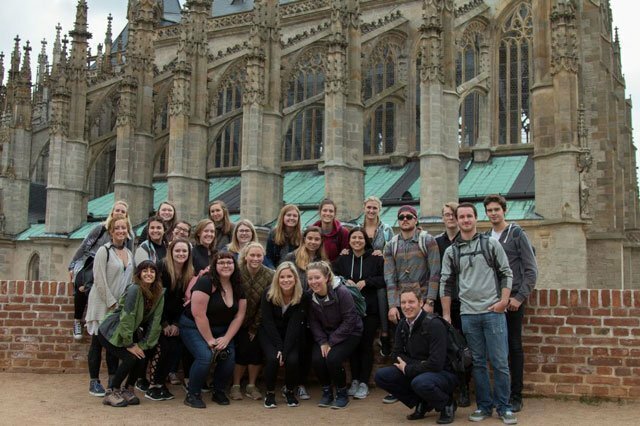 Looking back on my study abroad experience, I see how the Gilman Scholarship made me think hard about what studying abroad means. I chose my program thoughtfully because I wanted to learn and experience things that I could not learn at home. And I did. 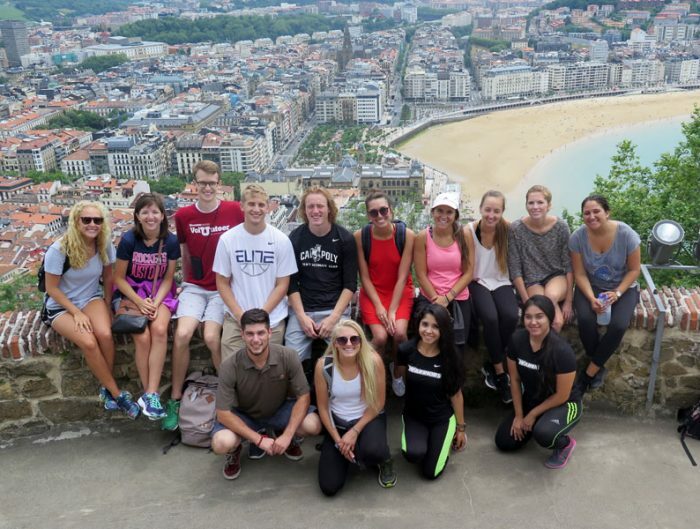 There is a lot of introspection that goes into studying abroad, especially as a Gilman Scholar. I love to write and to tell stories (part of the reason I majored in journalism). Drawing on my experience as a writer and an editor at The Western Front, Klipsun Magazine and now professionally post-college, I have compiled a list of my best 8 pieces of advice for writing your personal essay and follow-on service proposal. 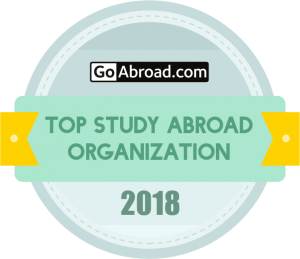 Please use them and reach out to me at kyracbruce@gmail.com if you have any questions — I would love to help you achieve your goal of studying abroad. 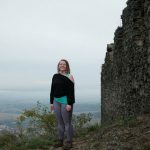 Kyra Taubel-Bruce received the Gilman Scholarship to study abroad in Prague, Czech Republic in 2017. Below is her video of her time abroad.